We are big beetroot eaters in our house! Not only is beetroot a superfood but it is so delicious and versatile too. Although sometimes we do roast our own beetroot slices, it can be tedious and time-consuming. The cooked beetroot (with nothing added) from supermarkets comes in very handy. It keeps for such a long time unopened that we always stock up the pantry when we’re running low. 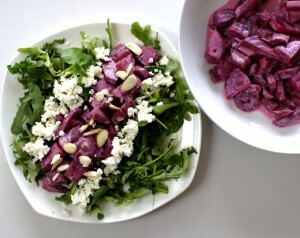 My sister in law inspired this beetroot and yoghurt salad who made something similar for a recent family gathering. I loved the idea of combining the sweetness and earthiness of beetroot with the tartness of SCD yoghurt. 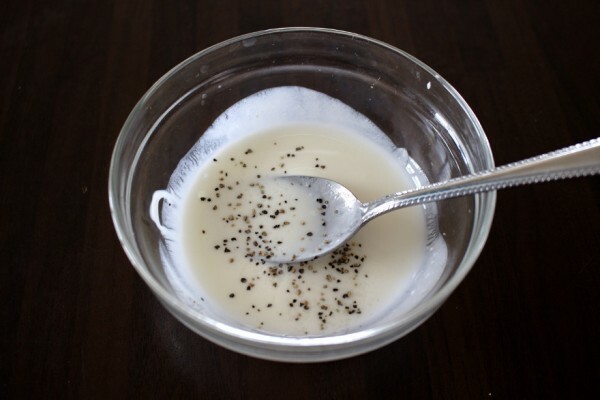 If you are not following SCD, you can easily substitute natural, unsweetened yoghurt which will bring the same tartness. Apart from tasting delicious, this beetroot and yoghurt salad will wow your guests with its vibrant colours. In our family, we are big on the phrase “you eat with your eyes”. I believe wholeheartedly that food should look bright, fresh and above all appetizing. After the taste, making the food look pretty on a plate is my next top priority. 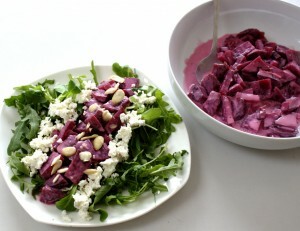 I’ve paired the beetroot with dry curd cottage cheese in this recipe. If you can’t find DCCC, then brie will work well as a substitute. A delicious superfood salad that is easy to whip up and will wow your guests with its vibrant colours. Gluten, grain and refined sugar-free. Paleo and Specific Carbohydrate Diet-friendly. In a bowl mix the yoghurt, apple cider vinegar, lemon juice and pinch of salt and pepper. Mix the yoghurt dressing with the chopped beetroot. 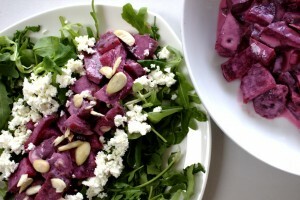 On a plate layer the fresh rocket, dry curd cottage cheese, beetroot and yoghurt and top with the flaked almonds.